It’s that time of the week again, it’s workout time! Firstly, thankyou to you all for the amazing feedback you have given me about this feature. There really are so many of you who say it helps them and inspires them to try something new, and I’m always over the moon to hear that I can help others. I hope that you all workout more that once a week, but even if you only manage the workouts I post on Wednesday, it is a lot better than doing nothing! As last weeks workout was for the booty this weeks will focus on the majority of people’s problem area the abs. I am currently on a massive mission to gain a flat stomach in time for my birthday in exactly 4 weeks time! I currently have a little flabby bit on my lower abs and would love for it to be gone by then. 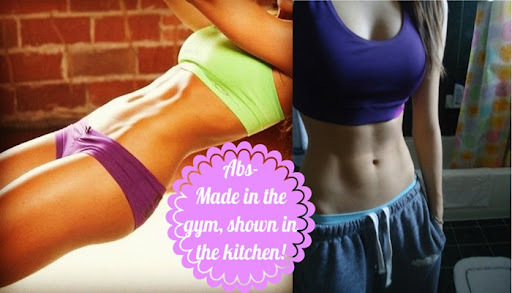 Obviously abs are gained in the gym but shown in the kitchen so I am upping the strength moves for my abs but also trying my best to eat clean and lean so I can reduce my body fat and start to show off some of my abs. The below workout is from one of my favourite trainers Jillian Michaels. Jillian is to credit for the 30 Day Shred that I’m sure many of you have heard of, but in America she is most know for being the tough trainer on The Biggest Loser. She takes crap from no one and makes them work hard, but after watching her on many programs it is easy to see that she truly cares about her “victims” and only wants them to be the best they can be. This workout is similar to the 30 Day Shred but more concentrated on the abs and a little tougher. It really works all the muscles in your middle and makes you sweat. It is only 30 minute long, which is a short workout so there is no excuse not to try it. I have tried it only a handle full of times and found that I have had to adapt a few of the moves until I build up my strength but I am enjoying it. I hope you give it a go. Let me know if you do and how you get on with it. Do you have any Ab workouts that you recommend for me? Or are there any workouts that you would like to see featured on Wednesday’s Workout? Don’t forget to check out my blogger of the week Natalia from Natalia’s Beauty Blog. If you enjoyed this post Natalia often posts about fitness too, so be sure to give her blog a read. She also has the most gorgeous OOTD posts.